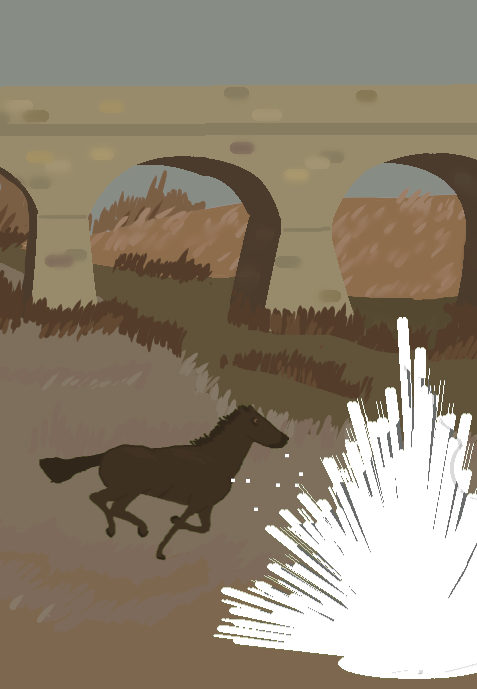 Major Wager is a game I made in a week about horse racing set in my grandparents' home of Richmond. 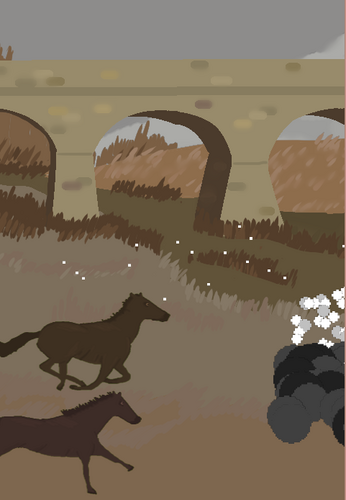 It has almost 200 horse names with infinitely randomised personalities and music by Harrison Osborne. 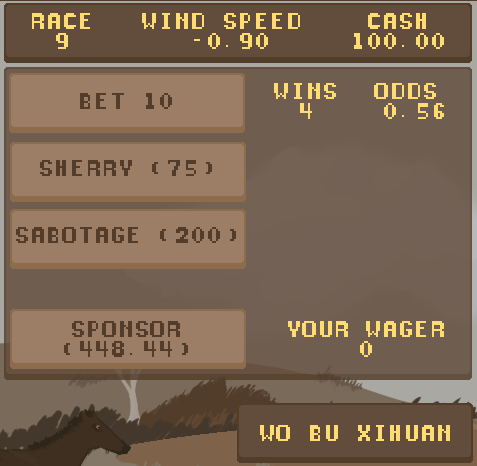 You can sponsor a horse for 1000 times its betting odds + Their total wins, which is to say that horses with higher chances of winning cost more to sponsor. Once you own a horse you can spend 10 cash at a time to improve its acceleration and resistances. You do not receive a bonus if the horse you own wins, and you can only sponsor one horse at a time. Major Wager is dedicated to Fergus Miller, a beautiful soul who played all my games, encouraged me, made me feel welcome, and brightened the lives of everyone lucky enough to know him. He suggested many of the horse names in this game, and to my knowledge still holds the highscore. I will always remember him and the way he believed in me.